At Quinte Children’s Homes a multi-disciplinary team assesses each child’s mental health needs individually in a professional and compassionate matter. We recognize the effort it takes to move to a new family home environment and respect the individual child for doing so with a network of support. 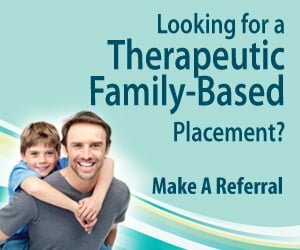 The Parent Therapy Program offers comprehensive treatment foster services based on a multifactor therapeutic framework. The program is intended to help the Child achieve competencies within the dimensions of development that support the successful transition into adulthood and to assist them in achieving positive adaptation and good outcome in spite of adversity. The program is an amalgam of many components and processes functioning to understand the Child’s needs, plan and execute strategies to meet their needs, monitor the outcome, and evaluate the individual case management process and program logic model. A general overview of the core program components and processes are outlined below. Parent Therapists are the primary vehicle of treatment and development for the children and youth living in their homes. They are at once, both a Parent and a Therapist. As a parent they provide the physical necessities for the Child/Youth; they create, manage and provide a nurturing, supportive and structured environment. They value and strive for consistency and stability in family routines, and they facilitate family cohesion. As a therapist, they take a lead role in addressing treatment needs. They recognize and take advantage of therapeutic and teachable moments. Intentionality, knowledge of psychosocial development, and practical therapeutic skills in the areas of behavioural management, brief solution focused therapy and cognitive behavioural therapies are the focus of their clinical training. The treatment management team is a multidisciplinary team that includes the Parent Therapist, Program Supervisor, Clinical Coordinator, Children’s Services Worker, the Child/Youth’s parent (when appropriate) and other treatment professionals, such as our Psychiatrist, Psychologist, Dietician, or Social Worker when necessary. This team uses the information gathered at admission (e.g., history; needs assessment; strength assessment; risk assessment) as well as ongoing progress reports provided to our Clinical Director to prioritise treatment issues, and develop, implement and monitor the client’s treatment plan. 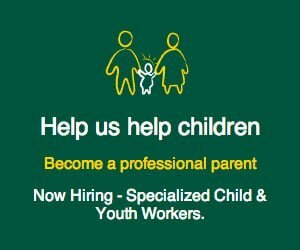 The Child & Youth Workers operate as supports to the Parent Therapy program. These well-qualified and highly trained staff assist with program delivery, transportation, respite, and risk management. Although Parent Therapists are the primary treatment vehicle, most of our clients require other specialized treatment services. These may include psychiatric consultation and monitoring of psychotropic medications; psychological assessments; and specialized therapies such as Art/Play therapy, or formalised cognitive behavioural and solution focussed therapy. Stevenson, Waplak & Associates, manages clinical consultation and treatment services. Quinte Children’s Homes invites you to browse through a limited sample of issues that can negatively affect a child’s mental health. Nutritional and dietary counselling for eating disorders is also available and managed by the BridgeCross program. A specialized academic program for clients who are unable to manage a community school placement is available through Applewood Academy for Progressive Learning. The Applewood program delivers individualized day treatment and academics within a structured and safe environment. The program can accommodate long-term students as well as short-term students, the latter requiring specific interventions to aid in their return to a community school. Applewood is a Ministry of Education licensed school that focuses primarily on elementary grades 1-8. However, we often work with the local school boards to obtain and deliver secondary school subjects. Quinte Children’s Homes recognizes that a wide variety of services are available in the community that clients may benefit from. Quinte Children’s Homes’ Policies and Procedures in this area reflect the goal of meeting our clients’ and families’ individual and unique needs by accessing appropriate community-based services that are not offered in the context of our program. When a client presents with needs more suited through accessing of services outside of the organization, Quinte Children’s Homes will advocate for the client’s right to access such services. Quinte Children’s Homes believes the primary treatment objective is establishing a stable and sustainable family environment for each client. Creating a stable environment requires a caring, nurturing and patient Parent Therapist family, along with the necessary supportive program components and specialized services. Sustainability refers to the program’s costs and efficiencies. Many of our clients pose an exceptional risk and have considerable needs upon admission into our program. While our Parent Therapists set about the crucial task of establishing stable attachments with the Child/Youth, they require considerable supportive services such as staffing, clinical consultation, supervision, and possibly specialized training. Additionally, a Child with high needs requires specialized clinical services such as psychiatry, psychological assessment, individual and group counselling, medical treatments, and academic/day programming. Through a standardized process, our team reviews each client’s level every 6 months. To learn more about our level system, please contact us directly at 613-968-8569. Clinical services: 6.5 hours per week including assessments, individual and group therapies, specialised therapies including art & play therapy. Read more about our Level System.